Ghostly Gardens – Canada’s Garden of the Year! Canada’s Garden of the Year has taken on a ghostly aura this October as part of GHOST TOWN in Annapolis Royal. The Ghostly Gardens are a highlight for visitors every fall, as the gardens enhance their normal autumn colour with several big splashes of Hallowe’en-inspired displays. From a Witch’s Lair, to a Giant Spiderweb, to Chicken Wire Ghosts to the “Elm Street” Cafe, the Gardens have surprises around every corner. 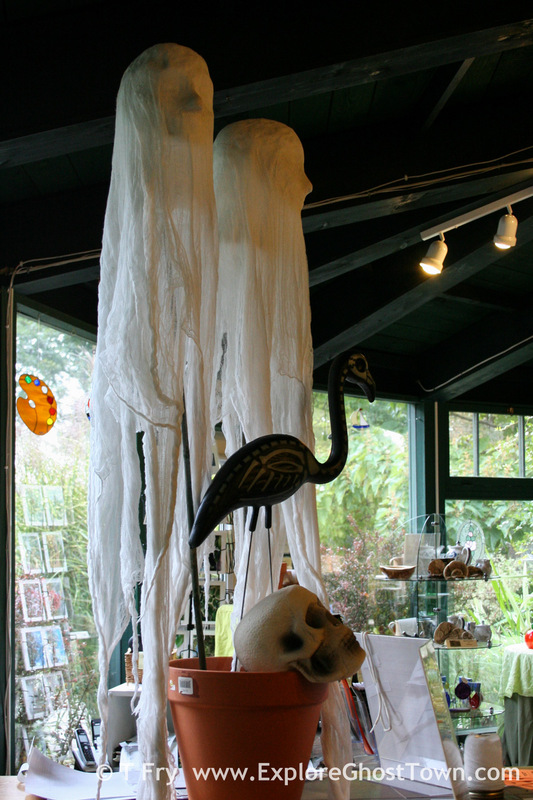 Open daily 9-5 on a “by donation” basis, the Ghostly Gardens can be enjoyed by daylight. 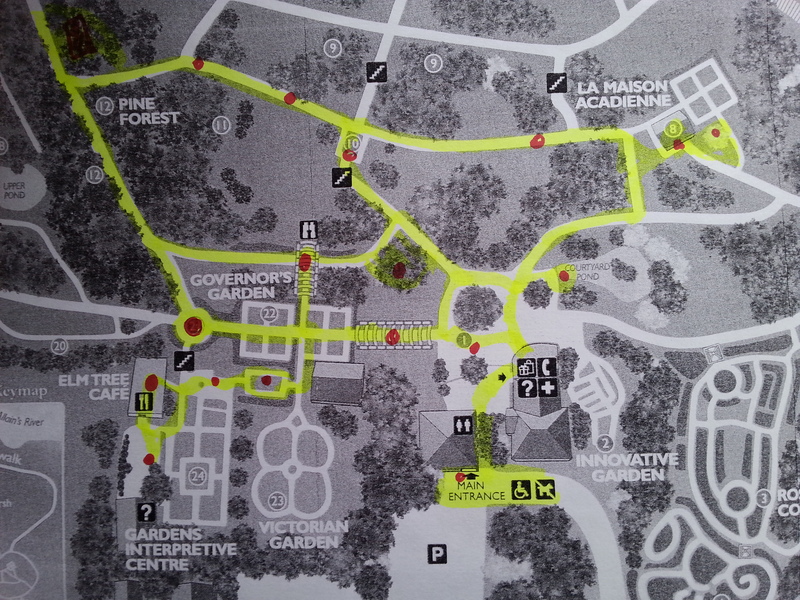 But for a really unique experience, you MUST try “Ghostly Gardens AFTER Dark” on Friday and Saturday nights (October 16/17, 23/24 and October 30 from 6:30pm-9:30pm). After Dark the Gardens come to life, in a creepy kinda way! 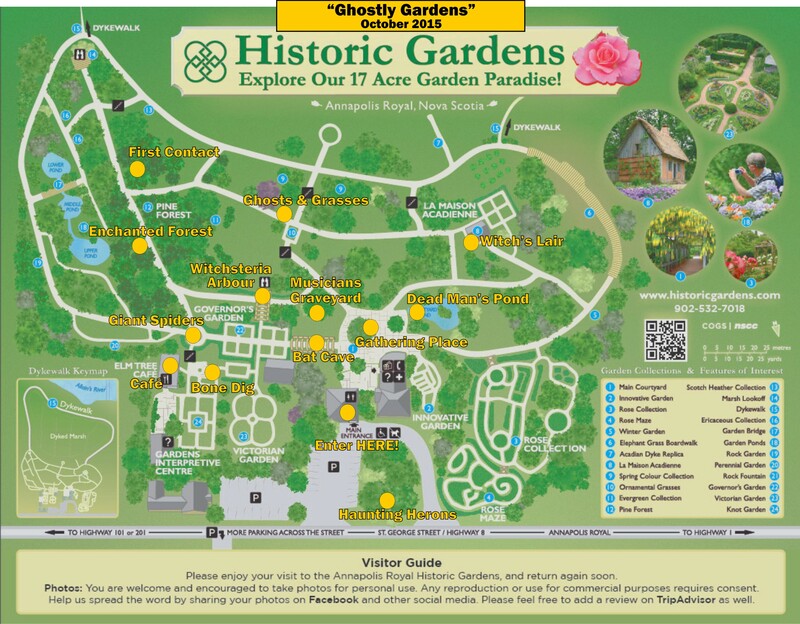 For more information on the Ghostly Gardens and other GHOST TOWN events, please check out the Schedule of Events. 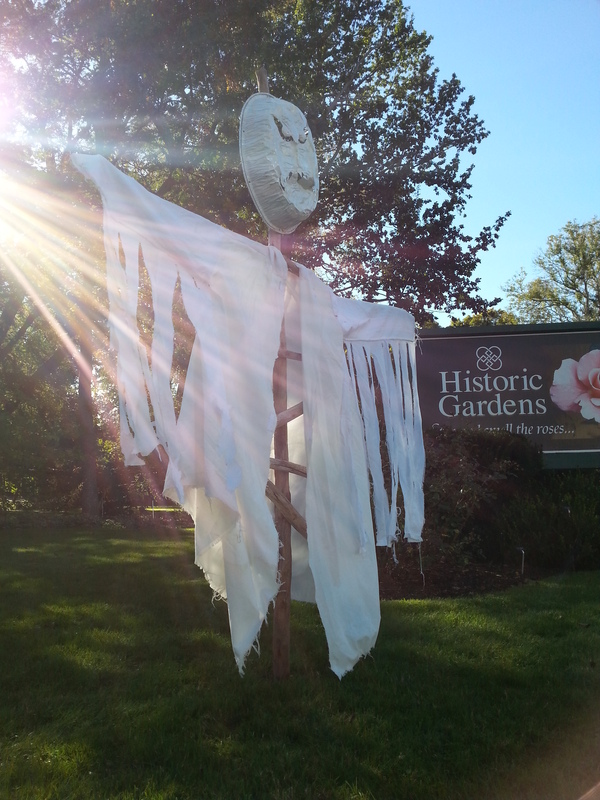 The spirits are rising in the Gardens! 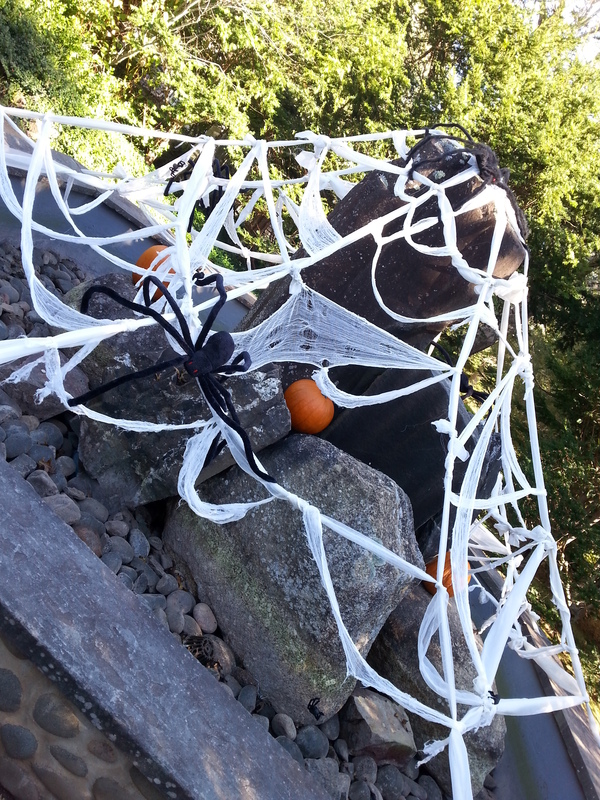 Spirits of many types are taking over Annapolis Royal, and have been seen in increasing numbers in the Historic Gardens which, with the help of many volunteers, are becoming the renowned “Ghostly Gardens” once again. Spider and other creatures are also making their homes in the Gardens. Ewwwww! 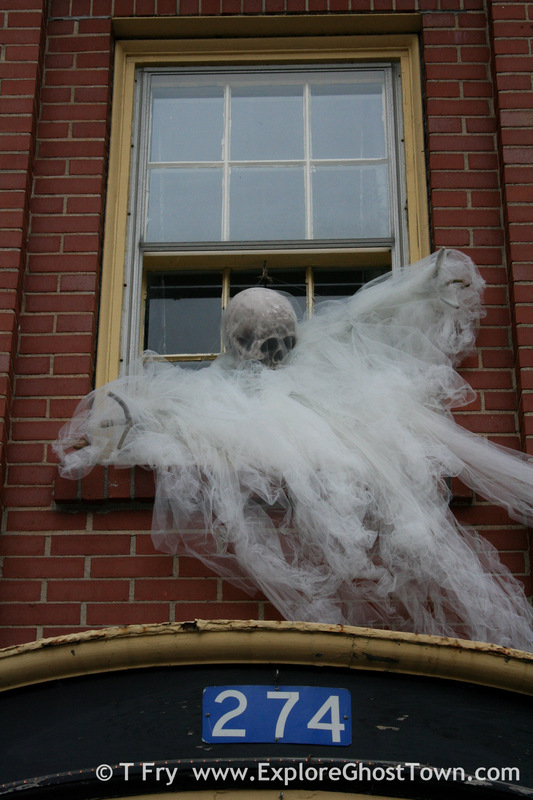 This year’s edition of “Ghostly Gardens After Dark” is more ambitious than ever before, expanding further into the Gardens with several new display areas. Many of the old favourites are returning of course, but some new features as well. Hats off to Gardens volunteers for all their work, and to all the other community volunteers who are making these GHOST TOWN events possible. 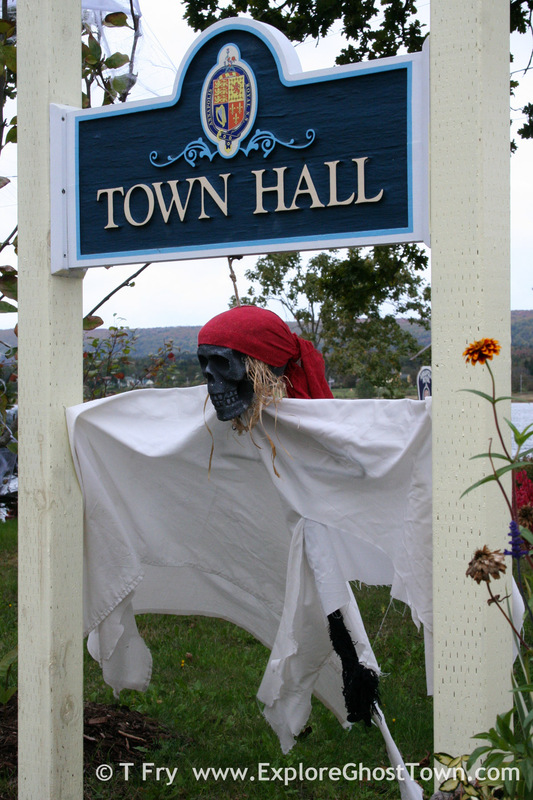 GHOST TOWN “after dark” events begin on Friday October 16 and continue every Fri/Sat evening until October 30. Check out our detailed Schedule of Events. 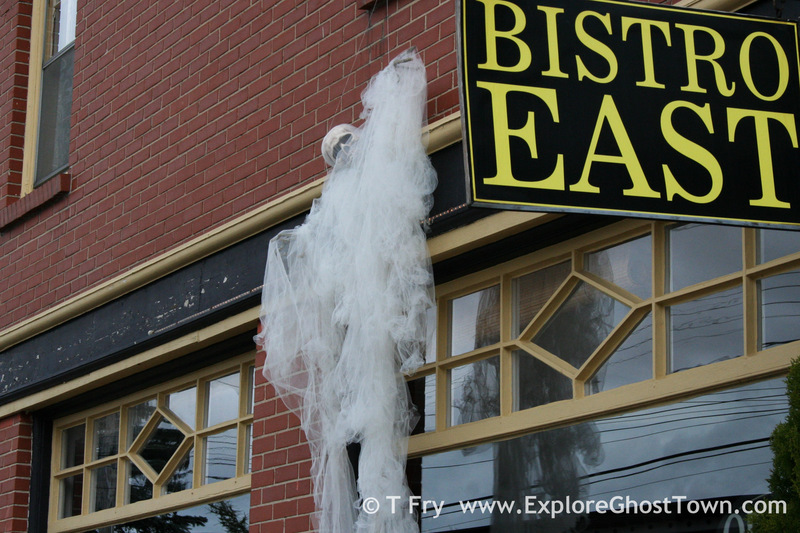 With Thanksgiving just ended, and bellies still full, people in the Town of Annapolis Royal are already turning their attention to the work ahead this week as Annapolis Royal is converted to a GHOST TOWN! Kudos to the early starts shown by Town Hall and Bistro East to lead the way! 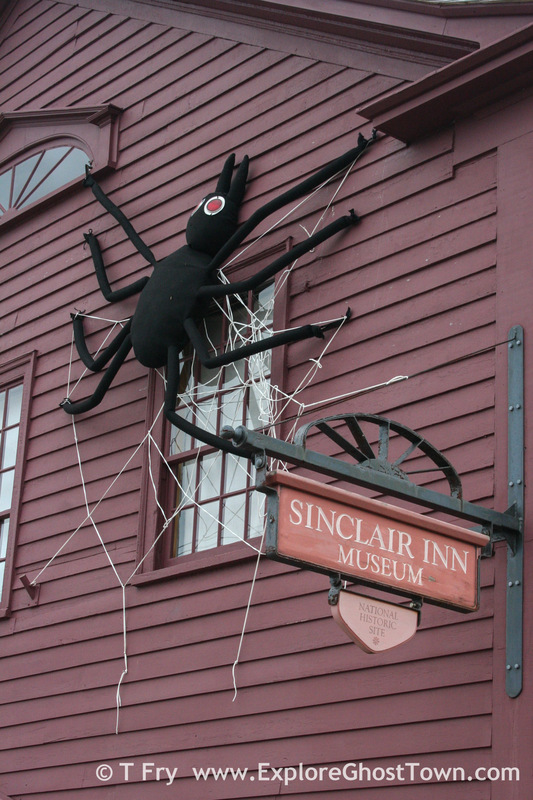 And of course work continues at the Sinclair Inn Museum Haunted House, the O’Dell House Museum and the Ghostly Gardens at the Annapolis Royal Historic Gardens. Some exciting changes this year… but we can’t tell you what they are – that would ruin the surprise. Get your Ghost On! 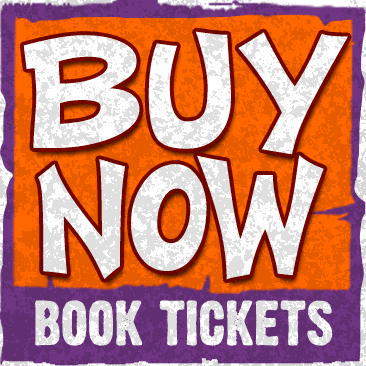 And plan NOW for your visit to Annapolis Royal for GHOST TOWN.